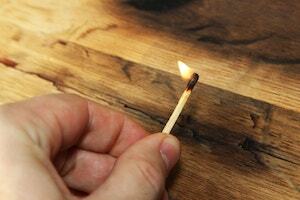 Arson is a serious offense that can lead to harsh criminal penalties and jail time. Arson can occur when someone chooses to start a fire for profit, such as to collect insurance proceeds or to harm the occupants of the premises burned. Arson can also occur recklessly, such as juvenile behavior that is careless and results in a fire. If the arson occurs with a fire to commercial property, charges can be brought in Federal Court and a five-year mandatory minimum sentence can be imposed. Whether you are facing federal or state charges for an arson, you need an experienced and knowledgeable criminal defense attorney. Pittsburgh Criminal Attorney Robert E. Mielnicki has over 25 years of experience and up-to-date knowledge of Pennsylvania and Federal criminal laws. Attorney Mielnicki has won arson cases and aggressively fought to minimize or drop charges for many clients charged with arson.